Retroactive, aka Marshallh, of 64Drive and UltraHDMI fame is back with yet another device. 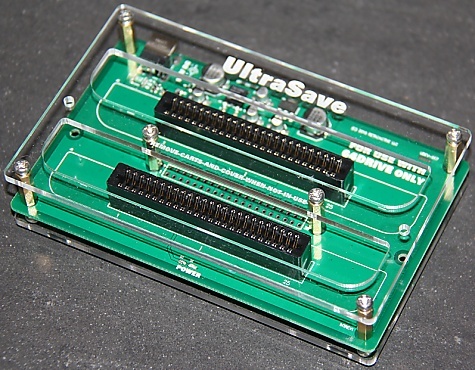 This time around the device is called UltraSave and it will allow you to copy ROM or Save Data from a cartridge to your computer. The latter can also be written to a Cartridge. 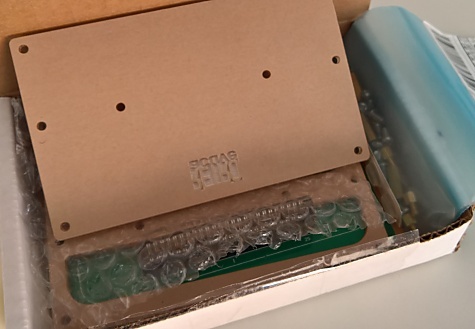 The adapter is $20 + shipping and comes as a kit you have to assemble yourself, or at least mine did and it's most likely like this to avoid the plastic shell cracking during transit. 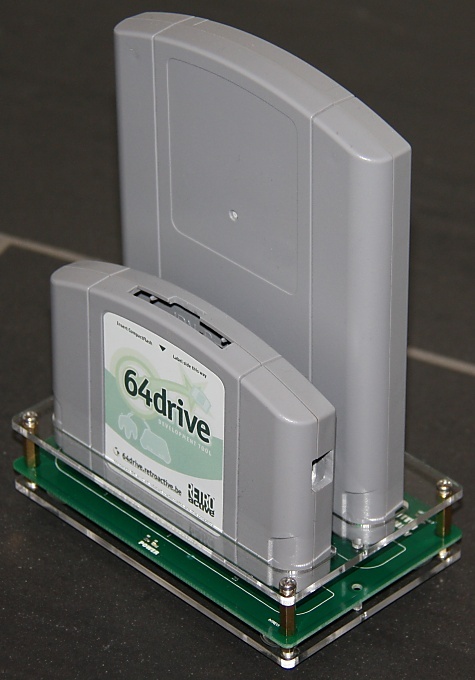 This thing is actually meant as an add-on for the 64drive, as one is required for the thing to operate, it has no USB port on its own so it makes use of the 64Drive. The UltraSave also requires a 12V powersupply (center positive) to operate, it's not included but should be fairly easy to locate, like if you have other videogame stuff at your disposal. 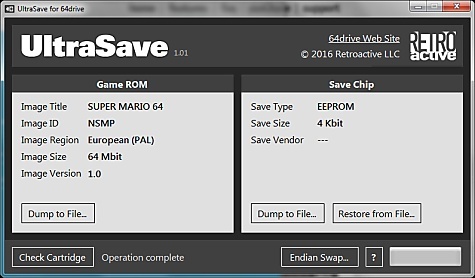 Also, it's worth noting that the 64Drive must have a firmware revision of at least 2.03 otherwise the UltraSave will not work. The software used to dump cartridge data is available for Windows and DOS, the Windows version requires .NET 2.0 to function, and make sure that you extract the DLL file included too, otherwise you'll most likely see the executable crashing. 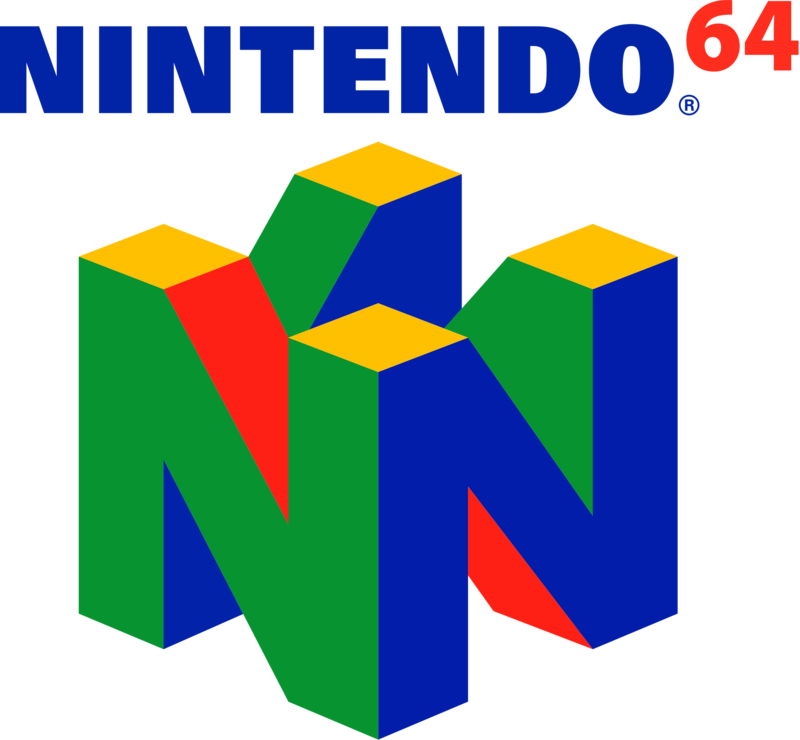 Now this is where the great part kicks in, because dumping N64 cartridge data has never been easier or faster, especially if you own one or more original N64 development flash carts you'll probably nod when I say that dumping N64 prototypes has been a quite tedious task to this day, using a GameShark Pro and an old Windows 95/98 PC. Dumping a 256mbit ROM image using the UltraSave takes around 40 seconds. It doesn't matter which port the 64drive is inserted into in the UltraSave, any one goes. Sofar I haven't had anything not dump, besides a few carts with dirty connectors that is and using a dated emulator to test a rom - that showed garbled graphics. The rom worked with a newer version of the emulator. 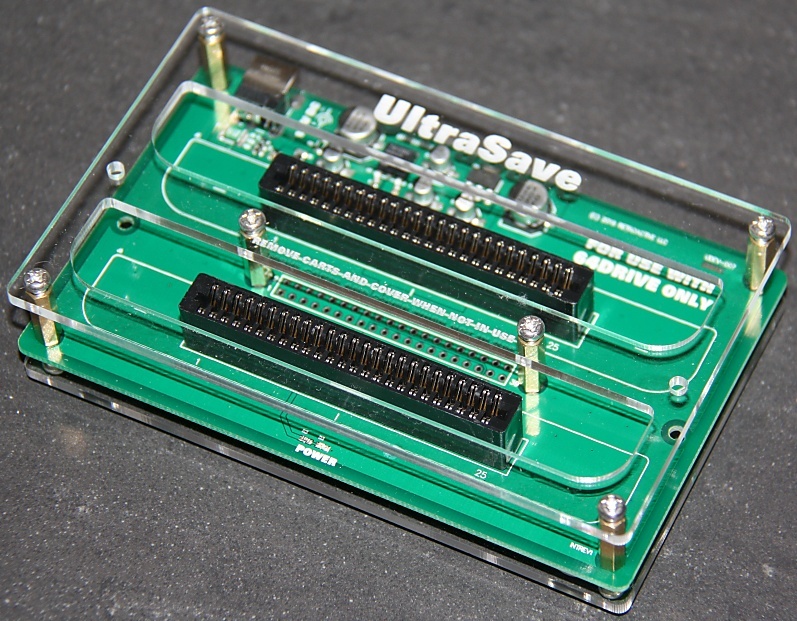 The UltraSave can be purchased here and for more info about the 64Drive, click here.